Learn the guitar with Teemeer “T-Man” Chimulkar, tutor of Sonakshi Sinha and many other celebrities. It's a curated networking experience for 30 music loving HNIs, from corporate, traditional business and startup backgrounds. For many, learning to play an instrument was a desire, which unfortunately couldn’t be fulfilled because of their careers. This is an opportunity to change that, do something different. We hope you walk away with good memories & connect with like-minded people to practice the guitar with later. Teemeer Chimulkar is one of the best guitarists in India. 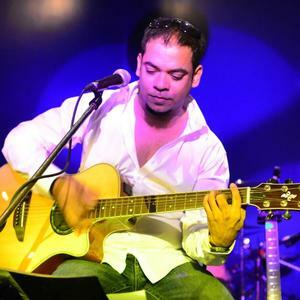 The symphonic heartthrob Teemeer, is the Singer-Songwriter and the Lead guitarist for his immensely adored rock band “Teemeer and the CirKle” and a much loved Guitar Tutor. His professional musical career began forming the legendary Mumbai based Heavy-metal band “Sceptre”, which toured all around India, headlining shows for more than twelve years. He was the Founder, Singer-Songwriter and Lead-Guitarist for the band. With more than a decade of experience in the music business; Teemeer is as passionate about teaching guitar as he is about playing it. His lessons are tailor-made to suit musical taste, age and learning pace of his students. Not surprisingly, his star students include National Award winning singer Mahalakshmi Iyer, the popular actors such as Sonakshi Sinha, Suchitra Pillai, Adhyayan Suman and Sarah Loren. Many of Teemeer’s students are rocking India today with their respective rock bands; Sahil Makhija aka The Demonstealer (Demonic Resurrection, Reptilian Death and Workshop), Siddarth Kadadi (Zygnema), Prashant Shah (Scribe and Exhumation) to name just a few. Come and learn music from a seasoned expert at his trade and other artists, with corporate go-getters this weekend in the Mumbai suburbs! Teemeer Chimulkar is one of the best guitarists in India. 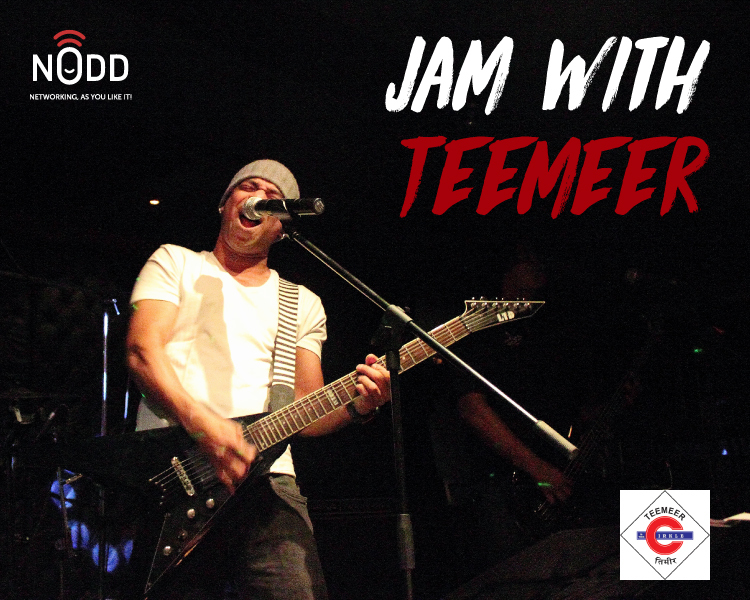 The symphonic heartthrob Teemeer, is the Singer-Songwriter and the Lead guitarist for his immensely adored rock band “Teemeer and the CirKle” and a much loved Guitar Tutor. His professional musical career began forming the legendary Mumbai based Heavy-metal band “Sceptre”, which toured all around India, headlining shows for more than twelve years. He was the Founder, Singer-Songwriter and Lead-Guitarist for the band. \n\n With more than a decade of experience in the music business; Teemeer is as passionate about teaching guitar as he is about playing it. His lessons are tailor-made to suit musical taste, age and learning pace of his students. Not surprisingly, his star students include National Award winning singer Mahalakshmi Iyer, the popular actors such as Sonakshi Sinha, Suchitra Pillai, Adhyayan Suman and Sarah Loren. Many of Teemeer’s students are rocking India today with their respective rock bands; Sahil Makhija aka The Demonstealer (Demonic Resurrection, Reptilian Death and Workshop), Siddarth Kadadi (Zygnema), Prashant Shah (Scribe and Exhumation) to name just a few.\n\n Come and learn music from a seasoned expert at his trade and other artists, with corporate go-getters this weekend in the Mumbai suburbs!